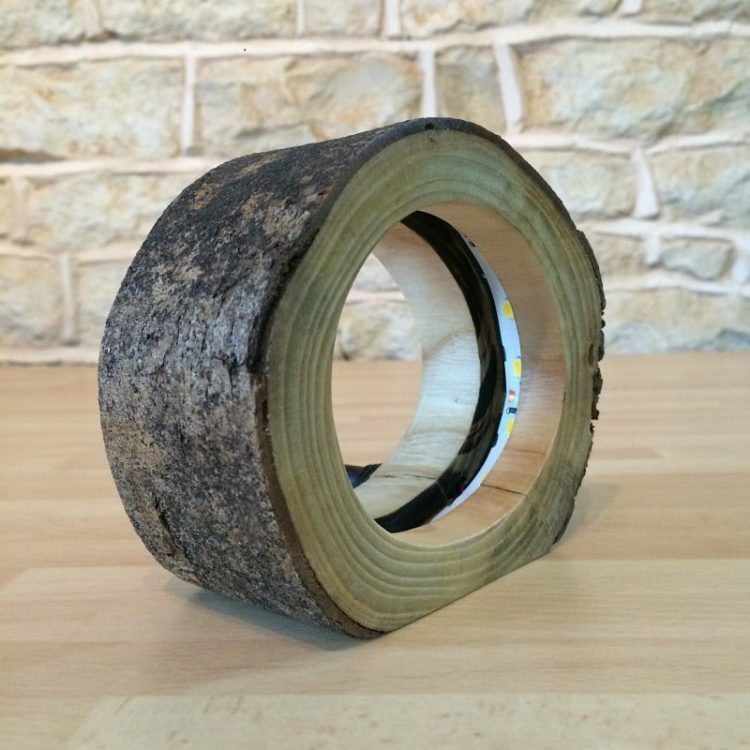 I love working with natural materials when possible, and it doesn’t get much more natural than this!…. 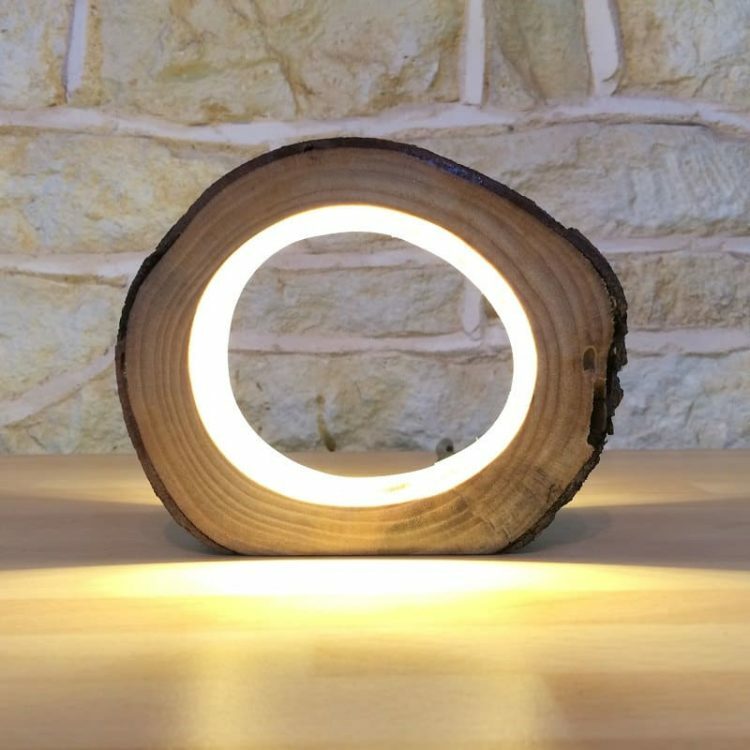 This is an actual ‘slice’ of a real wooden log, carefully hollowed out the center by hand to make it possible to install these LEDs and make it into a very unusual and eye-catching but practical light. 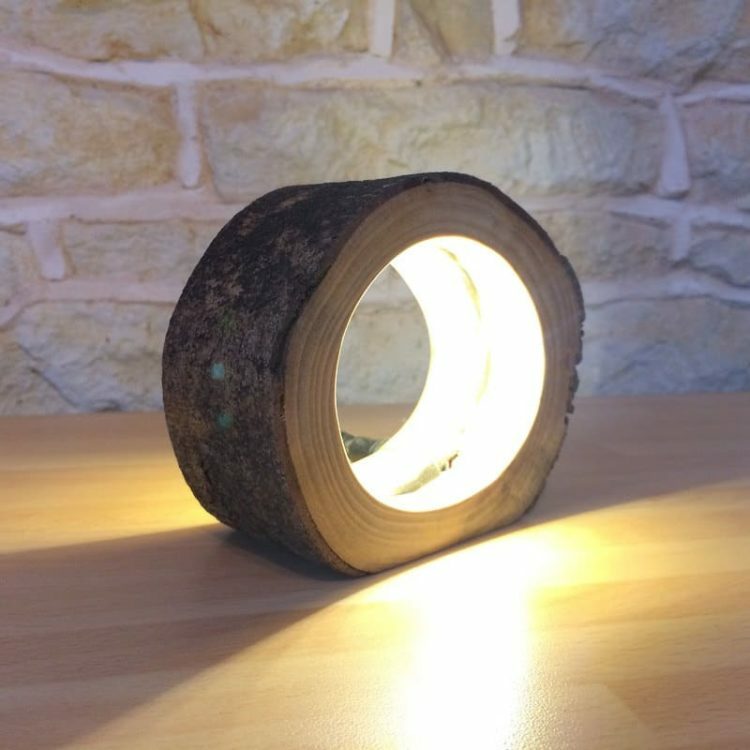 This is quite a small little lamp but that doesn’t mean it doesn’t give off much light!… the LEDs used are very bright, there is a continuous loop of them embedded deep into the wood so they are almost invisible when you look through the wood! 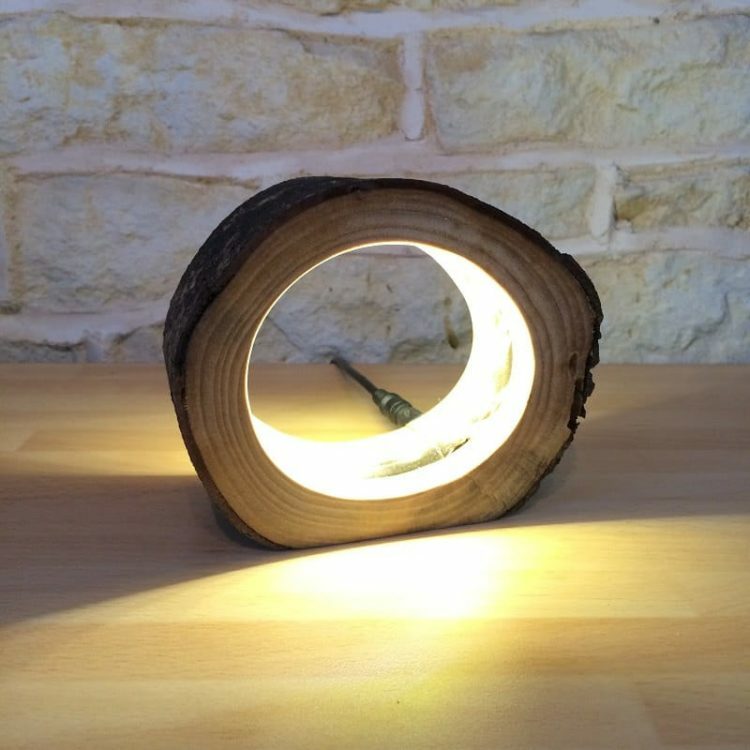 This really does just look like a piece of hollow wood until it lights up! 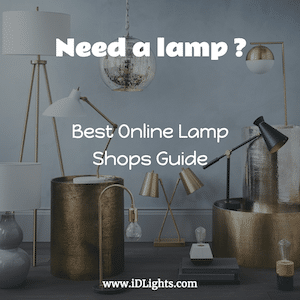 Being made from a log it can be perfect for a rustic and natural style, but it can also work great with any modern and minimalist styled room…. The light is completely ready-to-go with all LEDs ready installed, an in-line on/off switch, and a plug in power supply (a bit like a phone charger plug). The wood has been finished with a light coat of lacquer to give it a subtle shine and protection. The overall size of this particular piece is about 125mm wide, 100mm high and about 50mm thick/deep. but being completely natural each log/light can vary slightly!! this looks awsome. What did you use to cut the hole?